Mark Meshulam is an expert witness and consultant for window replacement and renovation. 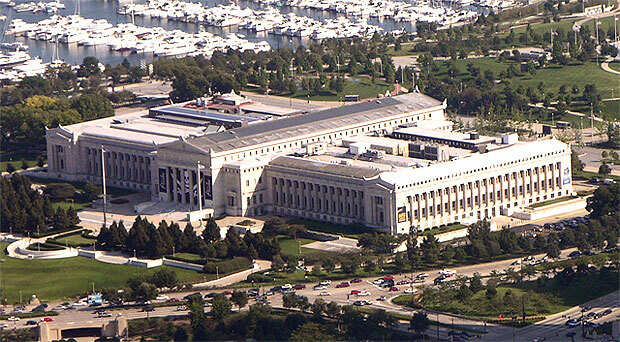 Chicago’s Field Museum of Natural History was incorporated in 1893. 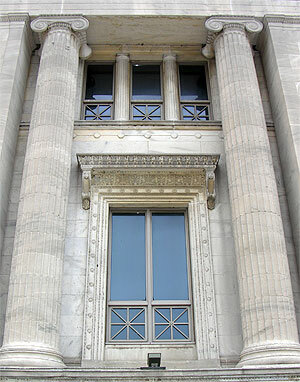 The Field Museum of Natural History is world famous for its dinosaurs. Its purpose was the “accumulation and dissemination of knowledge, and the preservation and exhibition of objects illustrating art, archaeology, science and history.” In 1921 the Museum moved from its original location in Jackson Park to its present site on Chicago Park District property at Roosevelt Road and Lake Shore Drive where it is part of a lakefront Museum Campus that includes the John G. Shedd Aquarium and the Adler Planetarium. Most of us have a special project in our careers. 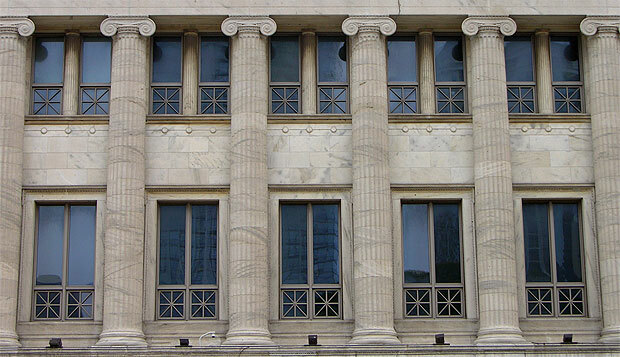 Mine is the replacement of all the windows at the Field Museum of Natural History, here in our great city of Chicago. I sold and managed that project in 1987-89. Math enthusiasts will quickly calculate that this was 20 years ago! Our work, and the work of Architect Uriel Schlair at Harry Weese & Associates was done so well that the windows look as good today as they did when they were installed. They truly fit the monumental nature of that famous structure, and they endure the ravages of our Windy City weather without a peep of complaint. Equally important, they faithfully replicate the original grandly articulated wooden windows, which were bordered with rich moldings and ornamented with a hub-and-spoke “square wagon wheel” design repeated 440 times across the edifice. Yet these new window frames were made from long lasting aluminum! Builders Architectural (that’s us) had already completed the installation of a few hundred conventionally designed windows along the top exterior of the building and also at interior light courts. Although we had to exercise care to avoid accidentally disposing of an occasional dinosaur molar or wolverine pelt laying around the many labs and workspaces we rehabbed, the windows themselves required no special design features other than great insulating value and longevity. Then one day Uriel Schlair, the Architect from Harry Weese and Associates (now HWA), who designed that window replacement job, asked me to take a walk around the outside of the museum with him. Frame extrusions were custom designed to replicate original wood shapes. Is it original or replacement? 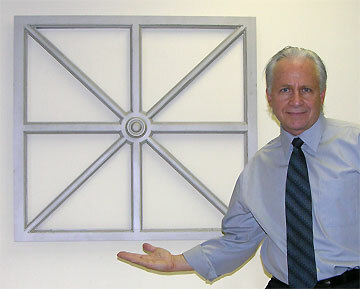 At the time I had only six years of experience in the business, but I knew that one could create marvelous things from extruded aluminum, so I proposed new frame extrusions that would emulate the big frame moldings. But what about those square wagon wheels? That is not a shape conducive to the extrusion process. Something different was needed. Then I remembered my days at Lane Technical High School, and the foundry class taught by Dr. Woodruff. In that class we literally pounded sand around wooden patterns in special boxes with mating halves, then split the halves and removed the pattern. We then rejoined the halves, dug a hole in the sand for a passageway and poured molten aluminum in the void left by the pattern. The resulting piece of aluminum was the same shape as the wood pattern. Why couldn’t we use this method to make the square wagon wheels? And so, I suggested to Uriel that we make the wagon wheels from aluminum castings. Of course his next question was, how much would it cost to build a full sized mockup of one opening. In my inexperience, I said maybe $5,000, but when I went back to the office and really crunched the numbers, the real cost was $30.000. To my surprise, Uriel told me to go ahead and build it. The mockup looked great, and provided a wonderful learning experience. The mockup design served as a model for the production of a set of bid documents for the replacement of all the windows on the huge building. We were low bidder and were awarded the contract. I think the entire contract was only $1.2 million. These days it would have been $6-8 million, easy. Mark Meshulam, Chicago Window Expert confers with workman in preparation for building mockup at Construction Research lab, Miami. Tarps protected the test chamber from an impending storm. for testing at the Construction Research Laboratory in Miami. The test battery included tests for air infiltration, water penetration and structural. In addition, due to a concern about the use of a “shadow-box” panel behind the glass, a condensation test was run. At the end of the testing, for no other reason than the boyish enjoyment of seeing something explode, we “pushed” the structural overload test to destruction. It blew up at 120 psf, and it was the chamber that failed, not the window. One of the biggest areas of concern in the preparation of the job for production, was the various processes required to prepare the castings for final presentation. The castings needed to have rough edges ground off, then they were sandblasted. Prior to painting, they were baked for 8 hours to allow all entrained gasses to “”outgas”. This prevented bubbling in the paint finish. The Kynar-based paint finish was applied and baked on at over 400 degrees F.
Finally, the actual work began. There were boom-lifts, trucks and dumpsters all over the building as a productive pace of work was established and maintained. The square wagon wheels were mounted in front of the glass, and were hinged to allow for cleaning of the glass. Would you believe, in 20 years, we never received one service call? Want to talk window replacement? These windows are truly amazing! I run a glass scratch removal company in Chicago, and we have been called around to almost every major glass project to clean up the scratch mistakes of bad contractors or poor cleaners, but this is one place where I have never gotten a call to go. I have been to the museum several times while living in Chicago, and I was always amazed at the ornate details put in the building. 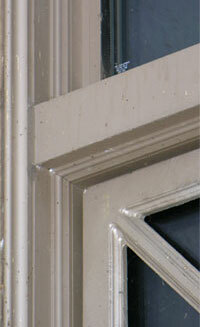 We were fortunate enough to be the foundry that cast the window frames for Builders Architectural. The great thing is the work was done local ….right here in Chicago…. our shop is just a few miles from the museum. We still have one of the original prototype castings here in our archives.